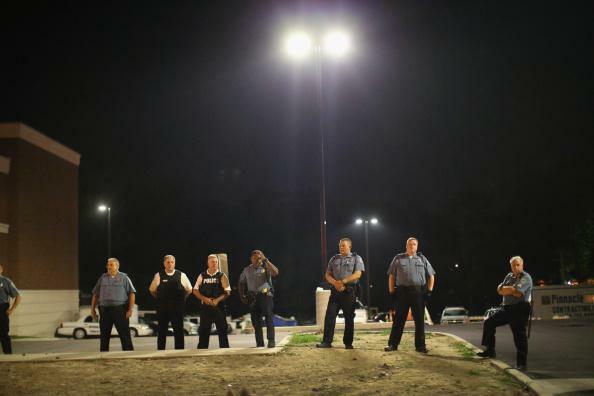 St. Louis fines system: Washington Post reports on tickets, arrests in Ferguson area. Outside the Ferguson police station. Beverly Hills, Missouri has a population of 571. Its City Hall and police station share a building with a pharmacy. Yet in 2013, the town handed out 3,250 traffic tickets, and issued another 1,085 citations for violations of non-traffic ordinances. As of June 30 of 2013, there were 23,457 arrest warrants pending in Pine Lawn Municipal Court, or about 7.3 per resident…Pine Lawn is far from the worst. The aforementioned town of Country Club Hills has over 33,000 outstanding arrest warrants, or an astonishing 26 per resident. According to a recent white paper published by the ArchCity Defenders, the chief prosecutor in Florissant Municipal Court makes $56,060 per year. It’s a position that requires him to work 12 court sessions per year, at about three hours per session. The Florissant prosecutor is Ronald Brockmeyer, who also has a criminal defense practice in St. Charles County, and who is also the chief municipal prosecutor for the towns of Vinita Park and Dellwood. He is also the judge—yes, the judge—in both Ferguson and Breckenridge Hills. If you’re thinking—Well, why not just pay the fines?—there’s more detail in the piece on why exactly that can be difficult. Balko also writes about the St. Louis County system’s historical origins and ways its harms might be mitigated. (Apparently, increasing black political representation won’t do the trick on its own; while many of the local institutions involved in the system are disproportionately more white than the populations they’re serving, several municipalities with diverse representation have the same problems.) Read the whole piece here.